I meet Sharmaine Lovegrove at the London offices of Little, Brown Book on a crisp November morning. En route, I’m flustered and nervous—predictable symptoms of a Woman-of-Colour-crush. The anxiety dissipates as soon as I arrive. Sharmaine is relaxed, radiating the subtle aura of fierceness that only hidden figures carry. Seated on a large couch in front of novel-filled shelves, she’s poised as the Nefertiti of the entire publishing industry. Sharmaine, 36, has been the head of Dialogue Books, a new diversity-focused imprint, for five months. Though it’s not written in her job description, she’s tasked with disrupting an overwhelmingly white industry. Sharmaine is chipping away at what she calls an “unconscious” bias, one book at a time. Her inclusive imprint specialises in writing by people of BME backgrounds, in addition to the LGBT+ community and those with disabilities. Aptly named, Dialogue Books is set to fill a gap in the novels we find on the shelves of Waterstones and Foyles. The stats are bewildering. Of the thousands of novels published in the UK last year, less than 100 were authored by non-white British writers (one of those authors was Kazuo Ishiguro, winner of the Nobel Prize in Literature). At the same time, the success of The Good Immigrant,the now-ubiquitous anthology by immigrants in the UK, illustrates the demand for BME writing. “UK publishing is super cosy”, Sharmaine says. 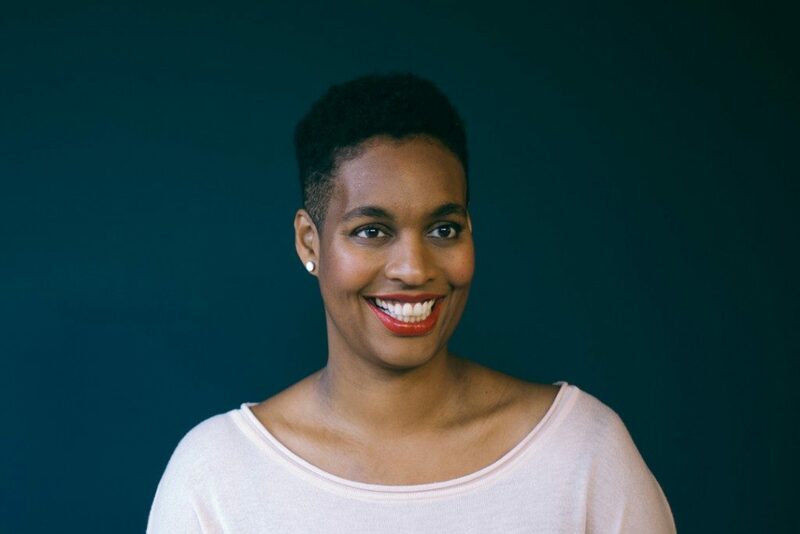 Sharmaine left the post of literary editor at Elle Magazine to join Little, Brown— a division of publishing powerhouse, Hachette—in July. She hadn’t sought the role out, just as she hadn’t sought out her position at Elle. You might say they were crafted for her, and they sought her out. In the decades that followed, books would become Sharmaine’s life. Still, she couldn’t break into publishing the way others had. Despite her experience, she received knock-backs when applying for in-house roles, unable to pinpoint why. Was it because she was black? That entrepreneurial experience paved the way for others to approach Sharmaine to offer her opportunities, not vice versa. Sharmaine wasn’t afraid to broach controversial ideas to the gatekeepers of publishing. In 2016, she was invited to a trends dinner with 20 key influencers at a Mayfair restaurant. On the topic list? Beyoncé’s ‘Lemonade’. The video, deemed by many as woke, was, however, subject to the sort of scrutiny that’s tinged with racial bias. Sharmaine realised there was only one other WoC present, and felt uncomfortable with a predominantly white crowd critiquing something “they may not fully understand”. The only white man in the room questioned Sharmaine’s reluctance to delve into Lemonade’s place in pop culture. When she checked the individual, he name-dropped Kendrick Lamar, noting the importance of black political lyrics. “I’d literally been mansplained race by a white man,” she says. Still, I manage to pull some names out of her: Toni Morrison, Maya Angelou, Margaret Busby, Elise Dillsworth, Ellah Wakatama Alfrey, and Sonia Meggie. “Of course I love Beyoncé,” she says when I coax her. “But I also love the women at my local flower shop,” and hidden women, like her aunts. Sharmaine has already commissioned over ten books, among them, the US edition of “The Good Immigrant”. Their scope is wide-ranging, dealing with class, addiction, assimilation, slavery, and eroticism. “Black, List,” by Jeffrey Boakye, stands out. It features over 60 contentious words used to describe black men and women—several touch on black masculinity. A black man, explaining race. If that won’t spark the sort of dialogue Sharmaine wants people in this country to have, I don’t know what will. Playing on her iPhone: “‘Everybody Loves the Sunshine’” (Roy Ayers).